As Illinois develops its plan for the implementation of the Every Student Succeeds Act (ESSA), the Illinois State Board of Education (ISBE) is coordinating with Regional Offices of Education to host a listening tour to gather ideas from local school leaders. What do we value and how should that be translated to a state plan to improve student achievement? How should student growth factor into accountability? What can be done to improve coordinated services to schools and districts? The schedule for the ESSA listening tour is available here. The At-A-Glance feature on the Illinois Report Card has been updated to reflect Partnership for Assessment of Readiness for College and Careers (PARCC) data. The At-A-Glance section allows for a quick overview of district or individual school performance in comparison to state averages. New features include updated charts and graphs that show how well high school students are prepared for college, findings on the achievement gap in English language arts and math, and data on academic success and success by student groups as measured on PARCC’s five-point scale. A new video explaining the updated features is available on the Illinois Report Card website. This is the first year that panels were rated by an online process. Most of the board members chose to rate the panels from the comfort of their homes within a 10-day period, while a few still chose to travel to one of the IASB offices to complete the evaluation process on March 11. The chosen panels will be presented at the 2016 Conference. The selected school districts are being invited by mail to present “Share the Success” panel sessions at the IASB/IASA/IASBO conference, to be held Nov. 18-20 in Chicago. Topic is interesting and relevant to today’s school board members. Presentation focuses on board-level work rather than staff work. Creativity and innovation are demonstrated in the approach taken. Proposal provides specific information rather than vague generalities. Program’s claim to “success” is supported by evidence. The school district’s experience can be replicated by other school districts. Proposal presents a clear picture of the panel presentation. Districts whose proposals were not selected for a panel time slot may be offered an opportunity to present in the Carousel of Panels event on Saturday afternoon, Nov. 19. The IASB board development staff will be working in the next few months to assign time slots and locations for the panels. The complete lineup for all conference programming will be announced in September. Conference and housing registration will open in early June. 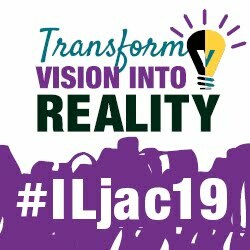 This year’s event will be the 102nd annual conference of the Illinois Association of School Boards and the 84th joint annual conference with the Illinois Association of School Administrators (IASA) and Illinois Association of School Business Officials (Illinois ASBO). What is Personal Property Replacement Tax? As recently reported on this blog and elsewhere, the Illinois Department of Revenue acknowledged that the state made over-payments to thousands of local taxing districts. Beginning in 2014, Illinois overpaid 6,500 taxing districts by $168 million, including nearly $87 million that was misallocated to local school districts. The payment miscalculation was in disbursements of Illinois’ Personal Property Replacement Tax (PPRT) funds. The error was found during a recent tax system upgrade, and it will be very costly to recoup. The biggest loser is Chicago SD 299, which was overpaid by $23 million. Other districts with large overpayments include $2.8 million to Rockford SD 205, $1.5 million to Peoria SD 150, $1.2 million to south suburban Valley View CUSD 365U, and $1 million to Granite City CUSD 9. But what is PPRT? It is a tax collected by the state that is shared with local governments to replace funds that were lost when taxing bodies’ ability to impose personal property taxes on corporations, partnerships, and other business entities was abolished under the 1970 Constitution. Corporate income taxpayers submit their taxes along with their state income tax payments. Their estimated PPRT payments are made quarterly. Partnerships, trusts, and S corporations instead pay replacement income tax on an annual basis. No estimated payments are required. Utilities make quarterly estimated payments of tax on their invested capital in March, June, September, and December. A final return is due by March 15, after the close of their taxable year. The proceeds from these taxes are placed into the Personal Property Replacement Tax Fund to be distributed to local taxing districts. The total collections are then divided into two portions. One portion (51.65 percent) goes to Cook County. The other portion (48.35 percent) goes to downstate counties. State law provides for separate payments to taxing districts to be made in each month, except February, June, September, and November. This does not mean schools and other taxing bodies receive eight equal distributions. The amount being distributed varies from one payment to the next depending on the amount of tax the state has collected since the last payment was made to the districts. State warrants are made payable to the treasurer or fiscal officer of each local taxing district. Under the former personal property tax, the county treasurer distributed the money to local units. Personal property replacement tax proceeds are distributed to any local government that had a personal property tax in 1977 through a formula based on that local government's share of the statewide total. A district that had 0.1 percent of the personal property tax then gets 0.1 percent of the corporate personal property replacement income tax proceeds today. The recent over-allocation was identified during IDOR’s implementation of a new general ledger system, designed to enhance accuracy and efficiency at the Department. IDOR Director Connie Beard stated April 20 that the state would be recouping the funds from the local units of government. School management groups said the payback may have a harsh impact on some districts, and therefore the payback period needs to be extended beyond the short term. 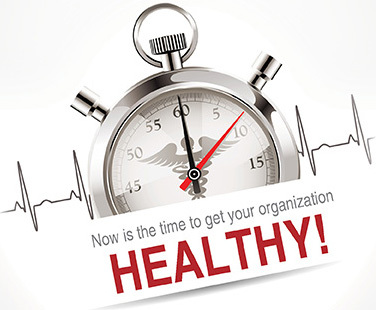 IASB is excited to host the seventh biennial LeaderShop Academy Symposium, entitled “Organizational Health: Now is the time to get your organization healthy.” This is an exclusive workshop designed for LeaderShop Academy members. The Symposium is designed to provide professional development for board members who have earned Academy Membership and are seeking advanced leadership skills. The symposium will, through large and small group activities, help participants improve the health of their organization. It is based on the Table Group’s “Organizational Health Model,” and developed by author, speaker and organizational health expert Patrick Lencioni, founder of the Table Group. The LeaderShop Academy Symposium will take place June 18, 2016. Registration is underway, and seating is limited. LeaderShop Academy members can register online here. The cost is $200, which includes workshop materials (The Advantage and Pat's Point of View, both authored by Lencioni), continental breakfast, and lunch. For more information, contact Peggy Goone, at pgoone@iasb.com or 217/528-9688 ext. 1103. The Illinois State Board of Education (ISBE) has a program to recognize outstanding school board members, administrators, staff members, and teachers. Those Who Excel is a statewide program that annually recognizes contributions to public and nonpublic elementary and secondary education. Nominations are due by June 6. The 2016-2017 awards will be presented at the 42nd annual Those Who Excel banquet will be held Oct. 22 in Bloomington. Contact ISBE’s Public Information office for more information at: 217/782-4648. The Illinois General Assembly reached the half-way point in the spring legislative session Friday as it was the deadline to pass House Bills out of the House of Representatives and Senate bills out of the Senate. These bills will now move to the opposite chamber and begin the process there. Both the House and Senate will take next week off in observation of Passover. Lawmakers will return to the Capitol on May 3. The bigger news may be that there was movement on budget issues this week. After a budget stalemate that has lasted the majority of the past fiscal year, a bipartisan group of rank and file members came together to pass SB 2059 (Cullerton, J., D-Chicago) that will provide $600 million earmarked for higher education. While much of the “debate” on the bill was congratulatory, there was also a great deal of concern that this was still not enough for those institutions that rely on this funding. However, this stopgap measure is expected to keep all colleges and universities open through the summer. In addition to the four-year universities, community colleges are expected to receive about $74 million under SB 2059. Another institution that will be positively impacted by is the Illinois Math and Science Academy. The House of Representatives Thursday approved a bill that will place all units of local government, school districts, and community college districts under the Property Tax Extension Limitation Law (PTELL) and permanently set the property tax increase limit at 0%. HB 696 (Franks, D-Woodstock) passed on a vote of 71-31-5 and was sent to the Senate for consideration. Multiple votes have been taken on tax freeze bills over the past year, but until now they were voted down as Republican members have not supported the measures. Republican Governor Bruce Rauner has promoted a property tax freeze as part of his legislative agenda, but combined it with other reforms for units of local government to have increased flexibility. When those additional provisions were not a part of the previous property tax freeze bills, all Republicans had voted no. This time, however, Republicans joined Democrats in supporting the bill even without any other reforms included. Unlike most of the previous bills considered, this does not have an expiration on how long the freeze will be in effect, so, without legislative revision, it will be 0% permanently. Also, the bill removes the current provision that would allow a county to hold a referendum to be removed from the scope of PTELL. The PTELL law does allow units of local government to go above the cap with referendum approval. HB 696 exempts from the freeze those units of local government that are home rule (including the City of Chicago). HB 695 (Franks) would have placed all units of local government, including home rule units, under the property tax freeze. That bill was defeated on the House floor on a vote of 56-49-4. Click here to read the complete Alliance Legislative Report (99-43), including significant proposals to amend the Illinois Constitution, a suggestion about contacting lawmakers, and bill action this week. Three Illinois school districts are among the 30 winners of a national award for technology use that recognizes school boards and districts that are helping to expand student and parent engagement, the use of data analytics, and more. The top Illinois winner in the Center for Digital Education’s and National School Boards Association’s annual Digital School Districts Survey is Township High School District 214, Arlington Heights. The district earned second place among large student population districts (12,000 students or more). The two other winning Illinois districts were both chosen in the small student population district category (3,000 students or less): Geneseo CUSD 228 (4th place), and Lindop School District 92, Broadview (5th place). Board members at the Geneseo district won praise for use of Skype or iChat to access important meetings if off site and to appear via live-cast on a screen in the board room. The Lindop district was recognized for organizing a public technology committee that involves administration, teachers, parents, board members, and community representatives to come and recommend new technology. “The results of the Digital School Districts Survey exemplify how visionary leadership in the board room supports the innovative use of technology in the classroom and in the delivery of district services,” said National School Boards Association Executive Director Thomas J. Gentzel. Top-ten rankings are awarded to the school boards and districts that most fully implement technology benchmarks in the evolution of digital education, as represented in the survey questions. All U.S. public school districts are eligible to participate, and hundreds of districts took part. The Illinois Department of Revenue has disclosed that the state made over-payments to thousands of local taxing districts, including almost every school district in Illinois. Beginning in 2014, Illinois overpaid 6,500 taxing districts a total of over $168 million. The payment miscalculation was in disbursements of Illinois' Personal Property Replacement Tax (PPRT) fund. The error was found during a recent tax system upgrade. IDOR Director Connie Beard in a Tuesday press release that the state would be recouping the funds from the local units of government. Current data show school districts in Illinois were misallocated almost $87 million, including over $23 million to Chicago SD 299, $2.8 million to Rockford SD 205, $1.5 million to Peoria SD 150, $1.2 million to south suburban Valley View CUSD 365U, and just over $1 million to Granite City CUSD 9. The Illinois School Board News Blog will have more on this news item in the coming days. Click here to see a list of the 856 school districts impacted (per current data) and the amount each was overpaid. The complete list of all impacted taxing bodies is available at on the IDOR website. Watch List school districts are widely scattered. 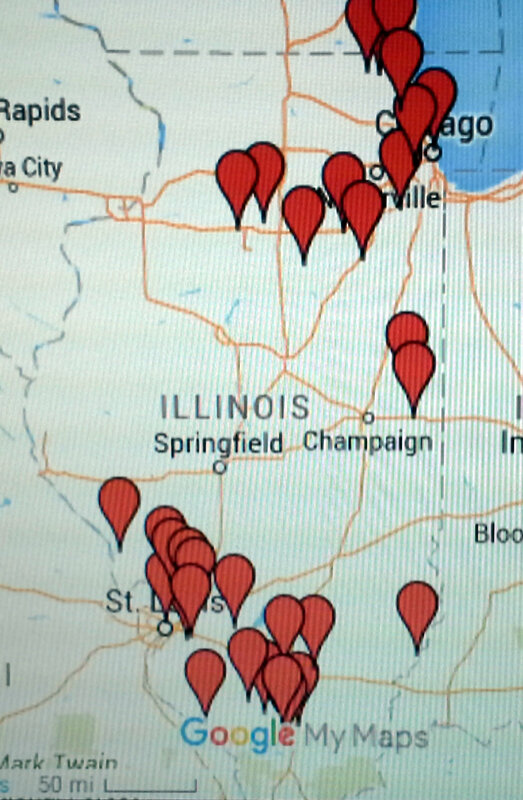 The Illinois State Board of Education (ISBE) has released its annual financial profile of the state’s public schools, showing that, despite a slight improvement from last year, 15 more school districts are facing financial headaches than just five years ago. Thirty-two school districts are on the state’s Financial Watch list of the most fiscally troubled schools, and 61 are on the Early Warning list. While fewer than 100 of the state’s 857 school districts are shown to be in trouble, the overwhelming majority are no longer in a secure position. Many have been taking out loans and tapping into cash reserves to keep their schools operating, according to a state finance blog, Reboot Illinois. “A big problem has been a failure on the part of the state government to pay anywhere near its fair share to schools,” according to IASB Deputy Executive Director Ben Schwarm. A recent report from a nonpartisan national research institute called the Center on Budget and Policy Priorities showed that, after adjusting for inflation, Illinois is providing 3.5 percent less in general state aid per student this year than before the Great Recession in 2008. The latest financial profile from ISBE shows that 568 districts, or 66 percent of the state’s public school districts earned Financial Recognition, which means they are doing a very good job of managing their finances despite the state’s diminished level of school funding. That compares to 70 percent achieving the same “Financial Recognition” status five years ago. Senator Andy Manar (D-Bunker Hill) presented his new school funding reform bill, Senate Amendment #1 to Senate Bill 231, to the Senate Executive Committee Wednesday afternoon. The bill was approved on a vote of 10-1-6, largely on partisan lines, and is now on Third Reading, final passage stage, in the Senate. If approved, the bill will be sent to the House of Representatives for consideration in that chamber. The House Speaker established a task force on school funding this spring to study the issue and it is unclear how the Senate bill will be handled in the House. For more details on SB 231, click here. Click here to read the complete Alliance Legislative Report (99-42), including committee action from the week. The likelihood of girls’ and boys’ lacrosse becoming officially sanctioned as high school varsity sports could get a boost from the Illinois High School Association (IHSA) Board of Directors this month. 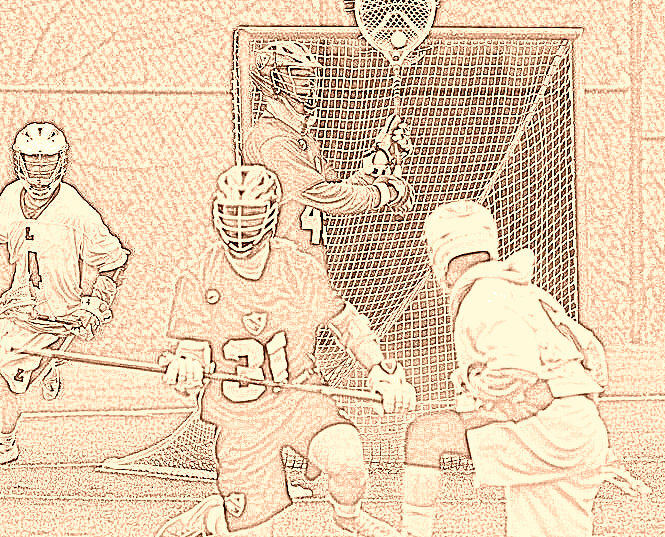 At their April 19 meeting, IHSA directors are expected to vote on adding lacrosse as a state-sanctioned sport, a move that could bring about a state tournament competition by 2018. According to IHSA spokesman Matt Troha, who also is the association’s lacrosse administrator, the move has been a long time in coming. “Back in October 2009, the IHSA board of directors approved the adoption of a boys’ and girls’ state series beginning in the spring of 2011, if schools could meet a participation quota of 65 boys teams and 40 girls teams,” he said. Troha notes that the girls’ programs have reached that level repeatedly, but there has been fewer than 65 boys’ programs statewide. One concern is that some schools new to organizing the sport do not yet have varsity teams and don’t want to participate in a varsity playoff series. Also, a number of high schools operate under district bylaws that require a sport to be fully funded by the school to participate in IHSA post-season play. Budget constraints or local politics may prevent these schools from expanding their sports, Troha said. On its website, IHSA identifies boys’ and girls’ lacrosse as “emerging sports,” a qualifier that places them a notch below fully sanctioned sports, which have IHSA-sponsored state tournaments. Troha said when the sport is officially sanctioned, IHSA will conduct the championship series. This means the playoff games would be seeded, scheduled, and organized by the IHSA, and the championship game would be held at a location selected by the organization. Currently, only 10 other states have high school boys’ and girls’ lacrosse qualified as a varsity sport. Senator Andy Manar (D-Bunker Hill) presented his new school funding reform bill, Senate Bill 231, to the Senate Executive Committee Wednesday afternoon. The bill was approved on a partisan vote of 10-1-6 with all “yes” votes coming from Democrats. The sponsor has been working on this concept for approximately three years and introduced Senate Bill 16 two years ago. The basic premise of the funding formula change is to drive state funding to those school districts in the most need. This would be done, according to the head of Advance Illinois who testified in support of the bill, by replacing the current General State Aid formula and collapsing it into a single, simpler formula. It uses weighted measures in the foundation level so certain characteristics and students would generate increased funding. Additional weighting, for instance, would be added for low-income students, English language learners, and special education students. The committee chairman announced at the beginning of the hearing that there were 480 people or organizations that had submitted a witness slip in support of SB 231 while 40 witness slips had been received from those in opposition. When questioned by members of the committee whether there was a printout so members could see how their school districts fared under the plan, the sponsor answered that he has requested one from the Illinois State Board of Education but that he has not received it as yet. The sponsor estimated that the full cost of implementing the new formula would be $400 million, plus the additional $200 million for CPS pensions. The fate of the bill is unknown, especially in the House of Representatives. House Speaker Michael Madigan (D-Chicago) has been relatively uninvolved in the issue over the past two years, but this spring he has instituted a school funding task force and has introduced a Constitutional Amendment to strengthen the education provisions. Local school boards are invited to submit resolutions for consideration by the 2016 Delegate Assembly. Resolution forms were mailed to IASB member district superintendents and board presidents in early April. IASB’s Delegate Assembly is held each year at the Joint Annual Conference to determine the direction of the Association by setting policy driven goals. Proposals can be submitted as new IASB resolutions, amendments to existing position statements, reaffirmations of existing position statements, or belief statements. The deadline to submit resolutions is June 22. The IASB Resolutions Committee, consisting of one elected member from each of the 21 Association divisions, will meet on Aug. 5. After resolutions are submitted, IASB staff will review the proposals and consult with a representative of the district that crafted the measure to prepare background material for review by the Resolutions Committee. Districts proposing resolutions must have at least one board member present at the committee meeting to speak to the proposal. Resolution forms and additional information about the process is available by contacting Connie Crowder at ext. 1132. A fillable 2016 resolution form can also be downloaded from the government relations page on the IASB website. State Senator Andy Manar (D-Bunker Hill), the sponsor of the school formula re-write bill (SB 16) from two years ago, has proposed a new school funding formula. The text has been filed as Senate Amendment 1 on SB 231. According to the sponsor, the language starts with the basic components of SB 16 but with revisions that were discussed over the last two years. The basic premise will still be to direct state funding to those school districts that are in the most need. Like in the original plan, it would collapse special education funding into the General State Aid (GSA) formula so those dollars would also be distributed based on need. Click here to read more about proposed funding changes and legislative action on a number of bills this week. Illinois school officials will be well represented at this year’s National School Boards Association Annual Conference, with more than 430 state education leaders expected to attend. The 2016 NSBA Conference will take place April 9-11 at the Boston Convention and Exposition Center. This year’s event is asking attendees to “Declare Excellence in Public Education,” and that theme will be conveyed throughout conference activities. Freemont School District 79, “Successful Ed-Tech Early Adoptions and Sustained Rollouts.” Presenters: Jill Gildea, superintendent; and Elizabeth Freeman, curriculum director. Township High School District 214, “Transforming Learning for Teachers and Students in a 1:1 district.” Presenters: Rudy Gomez, district technology supervisor; and innovative technology facilitators Linda Ashida and Gabriella Stetz. Maine Township High School District 207, “The Country’s Urgent Need for Better K-12 College and Career Counseling Now.” Presenter: Superintendent Ken Wallace. Indian Creek School District 425, “Busting Board Bullying.” Presenters: Pamela Rockwood, superintendent; Vaughn Boehne, board president; and Pamela Ottengheime, board secretary. Woodridge School District 68, “Positive Behavior Interventions and Supports-Improving Teaching and Learning Through Creativitiy and Celebration.” Presenters: Justin Warnke, associate principal; and Thomas Ruggio, board president. Northbrook School District 27, “Interest-Based Bargaining at its Best, A Culture of Collaboration that is Efficient and Effective.” Presenters: David Kroeze, superintendent; Theresa Fournier, assistant superintendent personnel and student services; Gella Meyerhoff, Northbrook Faculty Association president; and Helen Melick, board president. Oak Lawn-Hometown School District 123, “Parent University: Getting Parents to Become Active Participants in the Educational Conversation.” Presenter: Superintendent Paul Enderle. Executive Director Roger Eddy will be joined by Associate Executive Director Cathy Talbert and Board Development Consultant Angie Peifer to offer “Democracy, Community, and a Vision for Public Education.” The panel will delve into the history of public education, the role of school boards in communities, and the 21st Century vision for the public school system. Barbara Toney, field services director for the North Cook, Lake, and DuPage divisions, will present “Understanding Effective Governance,” one of many panels at this year’s event that will focus on new board member training. IASB Executive Searches Consultant Thomas Leahy will be joined by staff from other state school board associations for a discussion titled “Superintendent Selection: Why you need to do it right,” offering the dos and don’ts of the administrative search process. The 2016 NSBA Annual Conference keynote speakers will feature two TV journalists and a familiar public education advocate. Former CBS news anchor and 60 Minutes correspondent Dan Rather will kick off the first General Session on Saturday. On Sunday, ABC’s Good Morning America co-anchor Robin Roberts will address conference guests during the second general session. And closing out the third general session on Monday afternoon will be author and Harvard University’s Innovation Lab Expert-in-Residence Tony Wagner. Illinois guests are also invited to the Central Region Reception on Saturday, April 9, from 6 to 7:30 p.m. in Grand Ballroom A-B at the Westin Boston Waterfront Hotel. Joining Illinois members at the joint reception will be board members from Iowa, Michigan, Minnesota, Missouri, Ohio, and Wisconsin. More information about the 2016 NSBA Annual Conference is available on the Conference website. Those looking to follow along with live updates should check #NSBAConf on Twitter, or download the conference app. Chicago Public School teachers walked off the job as planned April 1 in a one-day work stoppage protesting alleged unfair labor practices, including the removal of some contracted-for teacher funds. But the teachers also said they chose to picket to call attention to the need for increased state funding for the cash-strapped CPS. The labor action could foreshadow a longer strike over a new contract; by law, however, such a strike cannot begin for several weeks. The walkout closed schools for nearly 400,000 students who had the option of spending the day at one of more than 250 “contingency sites” that CPS opened for them at churches, libraries, and school buildings. The strike drew criticism from Governor Bruce Rauner, who called the walkout outrageous. District officials called the one-day action illegal. Union leaders countered that the strike is legal under federal law, and argued it will pressure state legislators to produce a plan to help CPS get greater financial help. The Chicago Teachers Union last went on strike in 2012, shutting down schools for more than a week before reaching an agreement with Mayor Rahm Emanuel. That contract expired in June; negotiations on a new contract have been underway for more than a year. For reaction to the strike, see today’s Leading News and the Leading News Archives for March and April. After an extended spring break, both chambers of the Illinois General Assembly will return to the Capitol next week to continue considering bills in committee. The House of Representatives is scheduled to meet Monday through Friday; the Senate is set for session Tuesday through Friday. Click here to read the entire Alliance Legislative Report (99-40), including a list of bills scheduled for committee next week, and the Alliance position on each. The following are editorials, commentaries, and opinions from various sources regarding public education, collected in March 2016. Comments and opinions of websites linked from this page do not necessarily represent the opinions of the Illinois Association of School Boards.